Standard - £2.99 Only 2 left! There are a lot of ways to make your face turn red in this crazy world. You could "accidentally" reveal an embarrassing childhood story to a long time crush. Or, maybe you could stub your toe in a library, and hold your breath to keep from shouting chains of obscenities at all the other patrons. Or, you could just, you know, paint it red. Anything that gets your blood pumping will probably be pretty effective at making you red in the face. Luckily, wearing this Red Full Face Mask is a less messy, and less painful, method of face-reddening. Just put it on with the elastic band, and your face can stay red from sunrise to sunset, and all the other times in between. 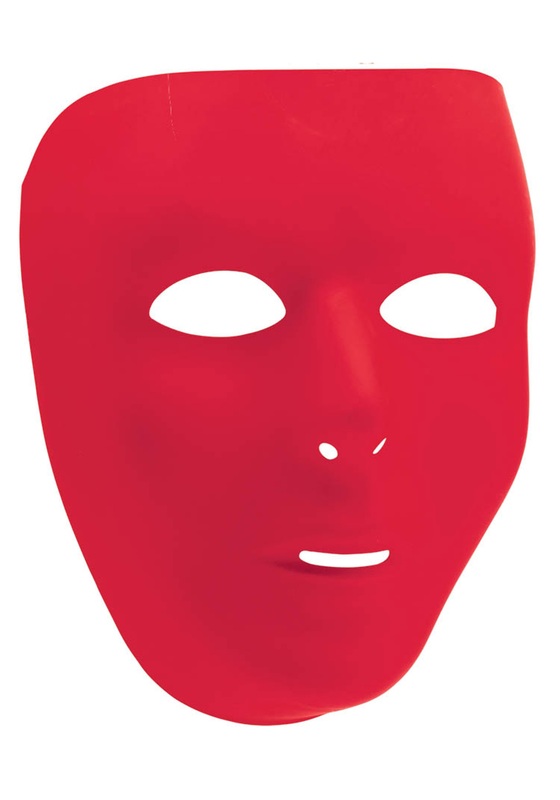 It's a perfect accessory for a devil costume, masquerade outfit, or any other occasion where you would want a red (and sorta creepy) face.